In spring 1991, I was a senior at Carnegie Mellon University in Pittsburgh. (I’m sure I’m dating myself, but who cares. For the record, my internal age is perpetually seventeen anyway.) At the time, I was already engaged (with a sparkly rock on my finger to prove it), only a few weeks from graduation, and looking forward to moving to Houston with my fiancee at the end of May. I was walking back from class and starving. (When isn’t a college student starving?) Ahead of me, I noticed one of the campus thoroughfares, Margaret Morrison St., had been blocked off with trailers, canopies, and equipment. I didn’t think too much about why – things out of the ordinary were always happening on campus. I guess I thought someone was selling something or setting up for a rally or concert. As I got closer, I noticed a table full of snacks – crackers, cheese, bagels, donuts, pitchers of water, that kind of thing. I remember thinking, “Oh cool, free food.” So, I strolled over and grabbed a plateful of snacks. In my haste to scarf free grub, I started choking madly on a dry cracker. Next thing I know, a deep voice I sort of recognized was at my side. 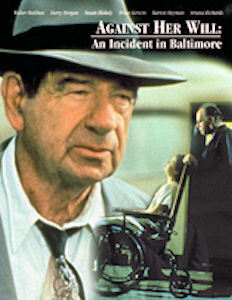 “Looks like you could use a glass of water, young lady.” With cracker bits falling out of my now crimson face, I looked up to see who was speaking – it was none other than Walter Matthau dressed in an old dark brown suit and vest. He smiled, poured a cup of water and handed it to me. I awkwardly gulped it down because I was still half choking to death, embarrassed as hell, and struck speechless. actor best known for his role as Oscar Madison in The Odd Couple and his frequent movie collaborations with Odd Couple star Jack Lemmon, as well as his role as Coach Buttermaker in the 1976 comedy, The Bad News Bears. He also starred as Max Goldman in the 1993 comedy, Grumpy Old Men, and its 1995 sequel, Grumpier Old Men. As a young girl, I grew up watching his old movies and TV shows with my dad. At this point, the breeze created by a feather could’ve knocked me over. Here I was, meandering around with Walter Matthau on my arm as if it was the most natural, everyday occurrence in the world. As we walked along making small talk (he asked me my name, what I was majoring in, when I was graduating, all the usual stuff), we passed one of the trailers. 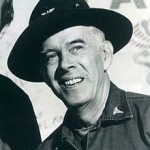 And who should walk out, but Harry Morgan, another TV and film star, probably best known for his role as Colonel Potter in the long-running TV series, M*A*S*H – another popular TV series that, unless you had been raised by wolves in the deep woods of Montana, had become a household name. Now, truth be told, I had watched nearly every episode of M*A*S*H mostly as reruns (I was young when the show first began). M*A*S*H was the pop culture hit of its time and one of my faves. 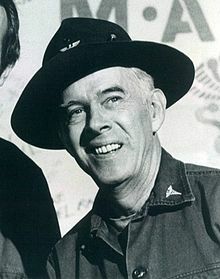 So I’m sure you can imagine my surprise as Harry Morgan said to Walter, “Who’s this beautiful redhead?” At this point, I’m sure I blushed red as a tomato to match my hair color. “Well, we can’t have you stealing all the pretty girls, so she’s taking me too,” Harry replied with a winning smile of his own and he took my other arm. Now, I’m sure he meant it in jest since he was married at the time, but it still left me speechless. “Isn’t that always the way?” Walter added while patting my arm. Turns out, Walter and Harry were filming the first of three made for TV movies called The Incident. 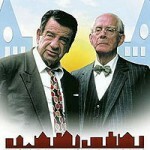 Walter Matthau was playing the role of lawyer Harmon Cobb alongside Harry Morgan as Judge Stoddard Bell. They would later go on to film two sequels as these characters, namely Against Her Will: An Incident in Baltimore and Incident in a Small Town. A moment later we got to the set and I saw that Maggie Mo had been transformed into an old courthouse, complete with a streetlamp and a sign to cover over the building’s real name. Multiple cameras dotted the sidewalk and actors dressed in old-fashioned suits milled about waiting to begin filming. Walter asked me if I wanted to be an extra for the day, but unfortunately I was already going to be late for work. When I said I couldn’t, he thanked me for “taking good care of him”, said it was a pleasure meeting me and shook my hand as he wished me luck in the future. Harry did the same and I stood off to the side for a few minutes watching them get ready to shoot the scene. All in all, Walter and Harry were both charming and funny and it was like being between two sweet, old grandfathers. I walked the rest of the way to my dorm utterly stunned that I had met Walter Matthau and Harry Morgan. 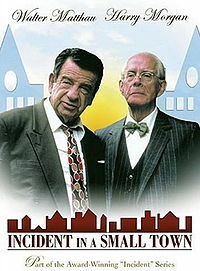 When my roommate asked me why I was late, I told her “because Walter Matthau asked me to marry him.” Of course, she didn’t believe me. Anyone else have an interesting story about meeting someone famous? If so, please share it with us in the comments below! 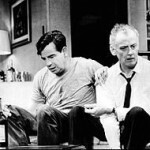 This entry was posted in Uncategorized and tagged CMU, Harry Morgan, proposal, Walter Matthau by marlo. Bookmark the permalink. Oh my gosh, that’s amazing! As I was reading it, I was thinking, “No, she’s making this up, she’s writing a fiction piece for her blog.” Bu wow! That’s so cool! I loved both of those actors and watched reruns of Mash all the time. Lucky you! OMG, I was mortified when I realized! As I recall, I had skipped breakfast so I literally was starving – and hey…it sure looked like it was free 🙂 Thanks for stopping by, Laura! Oh, lucky you! 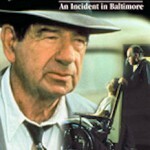 Walter Matthau was one of my favorite actors. I first saw him in the old black and white Elvis movie King Creole. I loved his work. I always thought he seemed so gentlemanly. He was one of mine, too – even before I met him. Thanks for stopping by, Sonya! 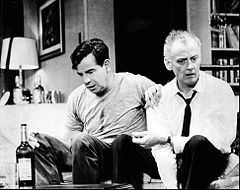 The first thing that comes to mind when I think of Walter Matthau is that he supposedly begged to play the role of Felix in The Odd Couple. He apparently told Neil Simon that playing Felix would require acting, but that he could mail in the part of Oscar Madison. My incidental celebrity “brush with greatness” (to borrow the old David Letterman phrase) is limited to a plane trip from Portland to Los Angelas. My wife and our older son, then a toddler, were flying in one row on the left side of the plane. I was seated one row back in the aisle seat on the right side of the plane. There was one seat left open, the seat directly in front of me and next to my wife (though across the aisle). At the last minutes, a tall older woman, wearing one of those wide hats with a brim that points down, walked onto the plane. She took the seat directly in front of me, opened up her laptop, and began working on what appeared to be the script for a legal thriller. It took my wife and I roughly a week of disbelief before we finally admitted that flying “coach” must have been Sophia Loren’s only option and that she REALLY needed to get to LA quickly. Very cool story, Walt! Sophia Lauren had such a regal presence about her – I’m sure you were stunned to be sitting so close. Thanks for stopping by! Awesome! Peter Frampton winked at me, but this is so much better! Absolutely fantastic! What cute fun old guys they were. 🙂 I met quite a few famous people over the years as a news anchor/reporter. I chatted with President Ford and Naomi Judd in a green room for about an hour while waiting to intro them onstage. I got to interview the cast of Melrose Place during that show’s heyday. I even shared a trailer for the day with Jeff Bridges while shooting a PSA together. But I was never star-struck until I met Kristan Higgins at RWA a couple weeks ago. She struck up a conversation with me and had to ask “Who are you?” because I was too rattled to introduce myself. No proposals, though. 🙂 I think that beats all! President Ford and Naomi Judd?! I can’t imagine what the connection was there, but that sounds really cool! And Jeff Bridges, what a cutie (back in the day, LOL). You seem to have met a number of famous folks. And isn’t Kristan Higgins a sweetheart? She was one of my speakers when I was Conference Chair for NJRW2011. I found her to be so down to earth and friendly. Her car broke down on the way to the conference, she went through a terrible hassle stranded in a bad spot, stayed in a strange town overnight, but still managed to somehow come a day late and give her workshop. Most people would’ve just called me to say they weren’t coming (in fact, a few did that year for one reason or another), but she honored her commitment and came. I’ll never forget her going the extra mile for us (literally!) Great that you met her!